Most information is from existing cemetery records, and a physical survey. If you have corrections or additional historical information about anyone listed here, please email it here. 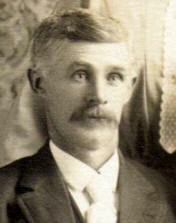 Notes: Son of Dorris and Mattie Young, Grandson of Marion and Lily Young, great grandson of John Wallace and M. Clementine Graham, great grandson of William and Isabel Young, g-g grandson of George and Anna Bailey, g-g grandson of John and Sarah Zumwalt, g-g-g grandson of Sobrina J. Russell. Hardy S. Young, owner of the Silver Leaf Inn in Wilsonville, died July 21 of an apparent heart attack. Mr. Young, 58, was traveling up the Columbia River in a boat at the time of his death. 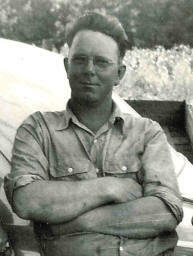 Born in Wilsonville in 1915, Mr. Young earned his degree at Oregon State University. As a Wilsonville restaurateur and farmer, he was actively involved in community events. His memberships included Sherwood Masonic Lodge No. 164; Oregon City Chapter No 1189, B.P.O.E. ; Frog Pond Grange No. 111; and the Oregon Restaurant and Bar Association. 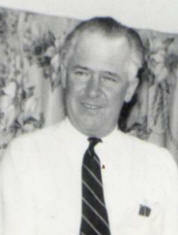 Mr. Young was instrumental in Wilsonville development and was developer of the Wilsonville Shopping Center. He served on the Wilsonville School Board prior to consolidation with West Linn. As hobbies he enjoyed hunting and fishing. Other Remarks: Of the four children's names on the monument, only Paul is deceased. Ledger Notes: Burial is not recorded in the ledgers. Other Notes: Oregon Pioneer of 1865 - came from Indiana. Monument is missing, or her engraving was never added to her husband's monument in 72-10. Her death certificate, however, states that she is buried here at Pleasant View Cemetery. 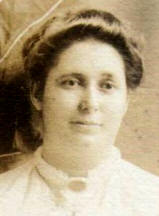 Wife of William Shelby Young, daughter of George W. and Anna Bailey, mother of John P. Young, Marion Calvin Young, William Franklin Young; adopted mother of Mattie Beavert Young, the child of her sister, Mary E. Beavert who appears to have died from complications of childbirth. A fourth son, George S., is not recorded in this cemetery, location unknown. Last Name: YOUNG First: John Middle: P.
Other Notes: Oregon Pioneer Crossed the plains at the age of five in 1865. 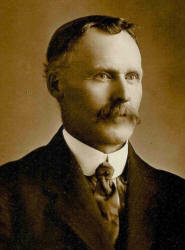 First husband of Nettie Young Brown in 88-5. Father of Opal Young in 88-7. Son of William Shelby Young and Isabel Bailey Young in 72-10. Grandson of George W. and Anna Bailey in 72-3, 4. Other Notes: Son of Marion Calvin and Lily Ann Young in 90-7, 8. Grandson of William Shelby Young and Isabel Bailey Young in 72-10. Great grandson of George W. and Anna Bailey in 72-3, 4. 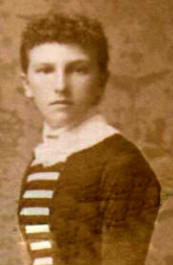 Grandson of John Wallace and Matilda Clementine Graham in 33-12, 9. Great grandson of John and Sarah Zumwalt in 57-2, 1. GG-grandson of Sobrina J. Russell in 57-7. Monument Material: Granite monument and base. Only front face is polished. Auxiliary Stones: Granite FATHER stone on south side & MOTHER stone on north side. Monument Problems: MOTHER headstone is sunken. Engraving: Mint condition, black paint in engraved letters, YOUNG is carved in relief. Other Remarks: Norris and Dorris have their own monuments nearby. Wallace's ashes are here. Gladyce Young's ashes are also in this plot but with no marker. Notes: Daughter of John Wallace and Matilda Clementine Graham in 33-12, 9. Granddaughter of John and Sarah Zumwalt in 57-2, 1. Great granddaughter of Sobrina J. Russell in 57-7. Notes: Oregon Pioneer Crossed the plains at the age of six in 1865. Son of William Shelby Young and Isabel Bailey Young in 72-10. Grandson of George W. and Anna Bailey in 72-3, 4. Other Notes: Sister of Fannie Gale Young; she taught the lower grades for a short time when Inza R. Wood taught the upper grades when Wilsonville Grade School was a two-room school. From her obituary: Services were held Monday, October 7 in the Riverview cemetery chapel, Portland, for Mrs. Mattie Dale Young, 54, Wilsonville, for many years active in Clackamas county grange work. She died October 3, in a Portland hospital. She was born September 13, 1892, in Upper Sandusky, Ohio. She was a member and past master of Tualatin grange No. 111, and had belonged to the grange for 25 years. She was past Ceres and lady assistant of Pomona grange, and was a member and past matron of Holly chapter, Order of Eastern Star. Other Remarks: Their children listed on the back of the stone are buried elsewhere at Pleasant View Cemetery except for Lois Ann who is buried in Corvallis. 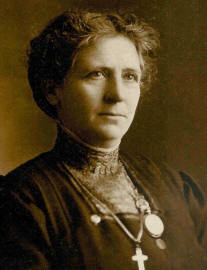 Last Name: YOUNG First: Mattie Middle: E.
Other Notes: Photo shows her name as "Mattie Beavert Young". 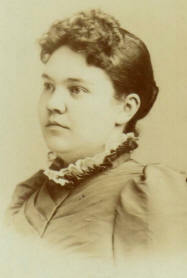 The birth daughter of Mary E. and Henry Beavert, adopted daughter of William Shelby Young and Isabel Bailey Young. Mary and Isabel were sisters, daughters of George and Anna Bailey. Mary died at age 33, one month after Mattie was born. Mattie is the sister of Nancy Beavert Johnston. All these individuals are here at Pleasant View. Monument Problems: Monument was tilted and sunken. It was leveled in 2013. Cleaned with D2 in 2015. 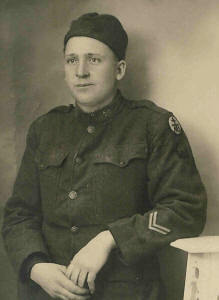 Other Notes: World War I Veteran, engineer, served in France; Son of Marion Calvin and Lily Ann Young in 90-7, 8. Grandson of William Shelby Young in 72-10. Great grandson of George W. and Anna Bailey in 72-3, 4. Grandson of John Wallace and Matilda Clementine Graham in 33-12, 9. Great grandson of John and Sarah Zumwalt in 57-2, 1. Great-great grandson of Sobrina J. Russell in 57-7. Father of Dale, Gale, and Stewart Young in 90-5, 6. Owned and operated Young's Machine Shop in Wilsonville at Boones Ferry and 5th Street. Illustrations: Rebecca's and Mason's insignia; logo for Army Engineering Co.
Other Remarks: Of their children listed on the back, Dale, Gale, and Stewart are buried nearby. Marion is buried in Willamette National Cemetery in Portland; Margaret's ashes are not yet interred. Last Name: YOUNG First: Opal Middle: B. Notes: Ledger lists burial date as 1909, don't know which is in error. Daughter of Nettie Young Brown in 88-5 and J.P. Young in 88-6. Granddaughter of William Shelby Young in 72-10. Great granddaughter of George W. and Anna Bailey in 72-3, 4. Ledger Notes: This burial is not recorded in the ledger. Notes: Infant son of Norris William and Fannie Gale Young. Other Notes: Oregon Pioneer; Crossed the plains in 1865 as a 3-year-old. Son of William Shelby Young and Isabel Bailey Young in 72-10. 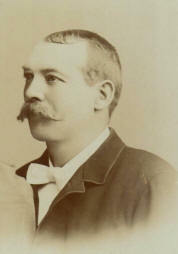 Grandson of George W. and Anna Bailey. Other Notes: Oregon Pioneer of 1865 Civil War Veteran, Missouri Infantry, Member of G.A.R. Died at his home in Pleasant Hill, Clackamas Co., Oregon, Sept. 18, after a brief illness of less than twenty-four hours, Wm. Shelby Young, aged 67 years 8 months and 6 days. Deceased was born in Indiana near Bloomington, Monroe Co., Jan. 12, 1831, where his father died at an early age. The mother having married again, W. S. Young at the age of eighteen moved with his parents to Missouri and settled in Harrison county, near Bethany, where he spent two years driving freight teams on the old Santa Fe trail from St. Louis to Santa Fe. He then purchased a farm, and soon met Miss Isabel Bailey whom he married Jan. 2, 1857, the bride being 24 years old at the time of her marriage. To them were born three children in Bethany and one on the plains near the Platte River, then an adopted daughter Mattie taken at the age of 5 weeks, who died eight years ago aged 19 years. Mr. Young followed farming with an occasional mining expedition into Mexico for a livelihood, until the Civil war when he served in the militia till its close. In May 1866 he started with his small family in an emigrant train for Oregon, encountering all the difficulties of the then perilous journey of a six months’ trip across the plains. Arriving here in Oct. the same year, they spent the winter on the Wm. Greenwood farm near Tualatin. He soon purchased the farm he now leaves, and at different times since has bought more land until with his three youngest sons own a fine tract of farming land quite well improved. The oldest son running a farm of 200 acres near Wilsonville, four miles from them. His mother Mrs. Emeline Prow who also came to Oregon and settled in Grand Round, only passed from this life 3 years before the death of her son at the advanced age 89 years. Mr. Young while always busy, had retired from labor some 10 years ago but still remained in the old family residence until about one year ago (when) they erected a four roomed cottage, where with his wife and all man could wish for (he) was pleasantly settled to enjoy a ripe old age. But the hand of time calls all and called him as it seems too soon. He leaves besides scores of friends, his widow who is well provided for, four sons, Marion C., John P., Wm. F., George S., all married and eight grandchildren to mourn the loss of a kind and faithful friend, husband, father and grandfather, one respected by all who knew him and always ready to lend a helping hand to those in need. The funeral services were held at the Pleasant Hill cemetery, Monday the 19th at 4 pm, conducted by Rev. Skiels of Scholls Ferry, singing by Rev. Brady of Hood View choir and was very largely attended. The grave was beautifully decorated with choice roses and fucias interwoven with ivy and evergreens. The family wish to extend their thanks to the many friends who so kindly assisted in this their time of sorrow. Monument Problems: Monument and plinth were loose; were re-secured in 5/08; monument & plinth were crooked on base; Was straightened in 2014, cleaned with D2 in 2015. Top is broken and missing, base corners are chipped. Notes: Son of John and Sarah Zumwalt. Ledger Notes: 80 Yrs. Ashes buried between J. H. Z and S. M. Z.
Monument is missing but burial is recorded in the ledgers. 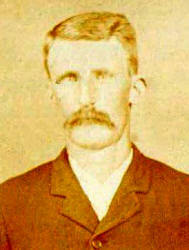 Last Name: ZUMWALT First: Henry Middle: H.
Notes: Possible Pioneer. Son of John and Sarah Zumwalt, Grandson of Sobrina J. Russell; One of several individuals buried in this Lot who are listed on the back of the monument. Monument Problems: Top front is chipped, mower and trimmer chips on the base; apron is covered; Monument was toppled in 2008 causing minor edge chips. It has since been re-set and secured, but unfortunately shifted a bit on the plinth as it was setting. Illustrations: Elaborate carved scene of gates and curtains opening to reveal a castle city. Ivy borders; base and apron are both decorated with carvings. Ledger Notes: Not listed in the ledger. Other Notes: Veteran - Mexican War. Oregon Pioneer. Crossed in 1850 with his wife, Sarah, four children, and other family members. Nativity: Missouri Ran the mailboat on the Willamette above the Oregon City Falls. Had a sawmill on his DLC at Corral Creek. His daughter, Matilda Clementine, and her husband, John Wallace Graham, operated Grahams Ferry on a portion of the Zumwalt DLC. Died at his home in Clackamas Co. Ore. 12 miles above Oregon City on the Willamette river Saturday Dec. 10th 8 a.m., John Hancock Zumwalt, aged 81 years and 26 days. Deceased was born in Pa. Nov. 14, 1817, and moved with his parents to Missouri at an early age. 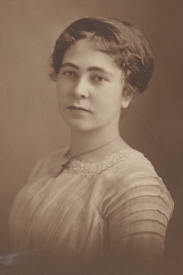 At the age of 20 was united in marriage to Miss Sarah M. Russell in Bolivia Mo. by the Rev. M. Michiel and 12 years later with their small family started for Ore. in an emigrant train arriving at Oregon City Nov. 15, 1849. And about one year later they settled on a donation land claim of 640 acres, a part of which he now leaves. To them were born 10 children, the sons are A. Robert, and Capt. John D. Zumwalt of Portland, Ore., the daughters, Mrs. M. C. Graham of Newberg, Mrs. T. S. Riggs of Nestucca, Ore., Mrs. Capt. W. Short, now of B. C., Mrs. S. J. Epler, of Wilsonville and Mrs. C.O. Davis of Portland, Ore. Mts. Frankie Franklin, Henry, and Jackson Zumwalt having died several years ago. Ten years ago last April Mr. and Mrs. Zumwalt with their children, grand-children, great grand-children and scores of friends celebrated their golden wedding at the old homestead and 6 years ago last March the wife and mother passed to that better land. The enterment took place Monday 12, at 2 p.m. at the Pleasant Hill cemetry, conducted by Rev. A. Brady of Hood View. Monument Problems: Top front is chipped, mower and trimmer chips on the base; apron is covered; Monument was toppled in 2008 causing minor edge chips. It has since been re-set and secured in 5/08, but unfortunately shifted a bit on the plinth as it was setting. Other Notes: Oregon Pioneer. Crossed in 1850 with her husband, John, four children, and other family members. Her husband ran the mailboat on the Willamette above the Oregon City Falls. Had a sawmill on their DLC at Corral Creek. Their daughter, Matilda Clementine, and her husband, John Wallace Graham, operated Grahams Ferry on a portion of the Zumwalt DLC.